Home / Posts Tagged "georgia"
Dale and Brooks… gettin’ married and making history at the same time! Last weekend I had the absolute pleasure of shooting Dale and Brooks’ wedding in Atlanta, Georgia at the Swan House and Historical Center – which was the first gay wedding ceremony at that venue we found out! How cool is that! 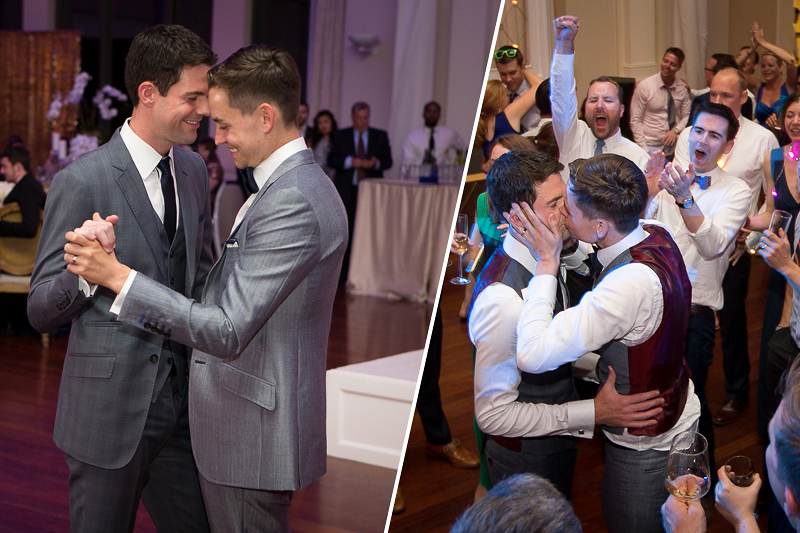 Not only did these two amazing men have an absolutely gorgeous ceremony and wedding day, but they also got to do something no one has done there before! Awesome. Now for those of you who aren’t familiar with my relationship to Dale over the years I’ll break it all down for you guys..
I’m willing to bet many of the friends and family members of Dale (and Brooks) have seen my photos over the years, even if you didn’t know it at the time. Dale is basically my wedding BFF. And I’m thinking that should be a thing. Yep. That’s it. It’s now a thing. #weddingBFF. Dale and I have been at SEVEN weddings together (eight if you include his!). But I’ve actually known Dale 17 years? 18 years? We went to school together. And while admittedly, he was much closer friends with my sister (who was in the same grade level, one behind me) he was always a great guy to catch up with when our busy lives and paths crossed over the years. It was obviously later on that I met Brooks. And it was actually, appropriately, that I met Brooks at a wedding. My sisters. As Brooks and Dale got closer to the point of planning their own wedding they reached out to me about being a part of it. I was thrilled! Not only had I got to know both of them better over the years at all the weddings we attended together, but I had also photographed Dale’s sister Denay’s wedding. When Denay and Omar were planning their wedding Dale reached out to be so he could recommend me to Denay. So by the time of the Dwelle-Andrews wedding I already had met and got to know a lot of the Dwelle side of the family! And as a photographer it is very special to be a part of multiple family events. After Brooks and Dale had locked down dates, a location, and several other details about their weekend they got in touch with me again. Dale explained to me that as part of a destination-style wedding (at least one that required travel for many of the guests) they were going to host multiple events and mini-parties of sorts for their guests. I was asked if it would be possible to capture photos during these events, too. So, as any of you who have seen one of my wedding blogs knows.. I’m going to save the rest of my comments for the captions. And as we all heard during the speeches at the rehearsal dinner, there are so many great things that can be said about these two. I’m particularly lucky because I get to share my thoughts and memories through this blog – and most appropriately, though photos. You ready to break that scroll-wheel on your mouse and check out just over 850 images from Brooks and Dale’s amazing, and beautiful, wedding weekend and celebration in Atlanta?! As well as a brief stroll down memory lane with the past weddings we’ve been at together? Go pour yourself a cup of…whatever you want to drink.. maybe one of those Dark & Stormy’s everyone was drinking at the wedding. Grab a snack. And get ready to re-live the Dwelle-Andrews wedding weekend! And those of you who couldn’t make it.. I hope this helps you feel like you were still part of it all. I know I certainly missed some of you who couldn’t be there. 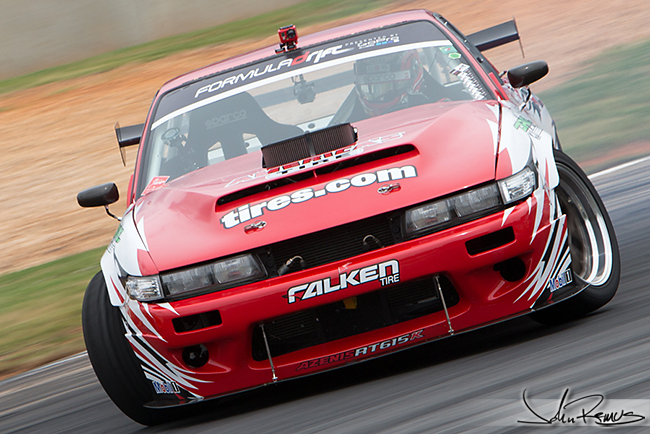 What an awesome year spent with Falken Tire. The 2012 American Le Mans season was a blast! I was very lucky to be able to cover half of it for Falken Tire – in addition to many other projects that they brought me in for throughout the year. By far my favorite was ALMS, though. There is an incredible team of people out at Walker Racing that I was lucky to be welcomed in to. Through many events and long days/nights of work I also had the chance to work closely and get to know much more of the Falken Tire team, too. Since it was my last race of the season I brought a bunch of gear out Road Atlanta with me. Instead of a 300mm like I had at Sebring, I brought a 400mm since this was a large track. And since there was a lot less access than at Sebring it’s a good thing that I did. I also carried a brand new Canon 1D-X with me – I was definitely excited to see how the sensor and tracking system performs over my 1D-3 that I’ve been using for years for sports. I’m not going to go on and on about my weekend. 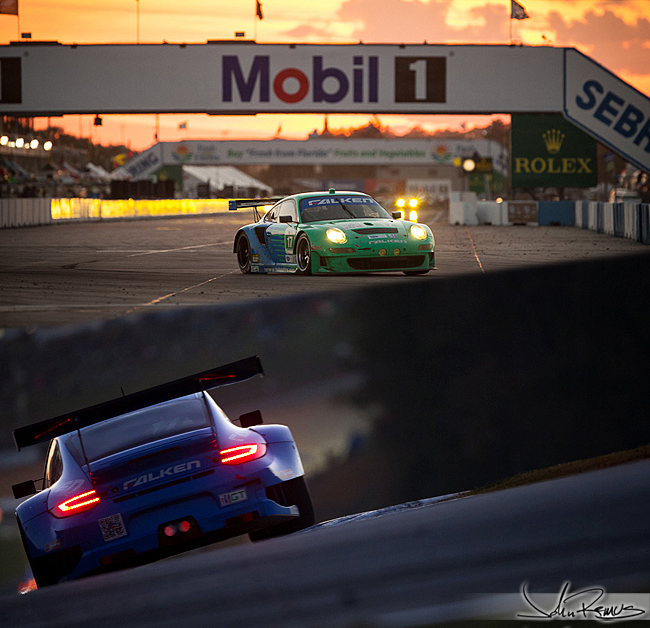 I’ll keep it short and say that it has been a blast being part of Falken’s season and part of their team. With a bit of luck I’ll be doing some more work with them next year, but I won’t know that for sure for quite some time. Until next race season starts up it’s going to be back to model photography and smaller projects for me! So keep checking back for updates on those – one of my next shoots is for April O’Neil and my ongoing Ninja Turtles project. 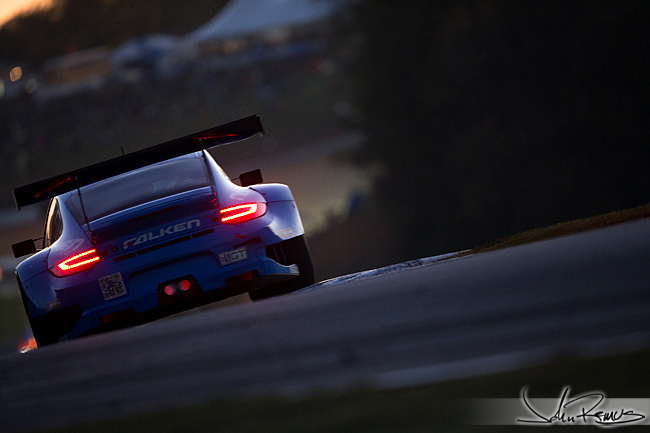 Anyway.. click past the break for over 150 images of Team Falken, and several other teams/cars at Road Atlanta this past weekend.